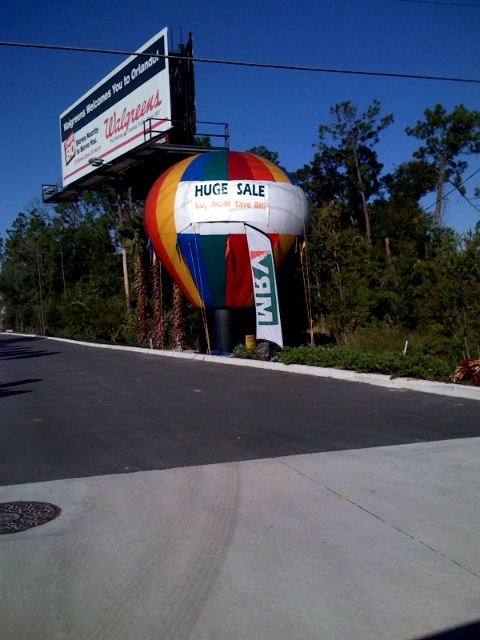 This is a brand new 25' hot air balloon inflatable advertising special. Call us about our special this month. $100 best price guarantee for the 25' for a whole month! Need good service and nice balloon! Call 407-354-2300 need air exposure with helium balloons, we have them. This is dynamic advertising with best pricing in central Florida.